Paso Robles is a wonderful small town with a friendly relaxed and welcoming atmosphere. Our beautiful home, Two Sweet, is located in the heart of Paso Robles in the historic part of downtown. It is just a couple of blocks to everything and it provides an ideal central location for touring the beautiful surrounding wineries on scenic country roads. We’ve created two large suites with two full bathrooms for the comfort of two couples or a family. The closets are large and spacious so you can put your things out of the way and not feel like you are living out of a suitcase. It’s a sunny happy house with lots of room to stretch out and relax! 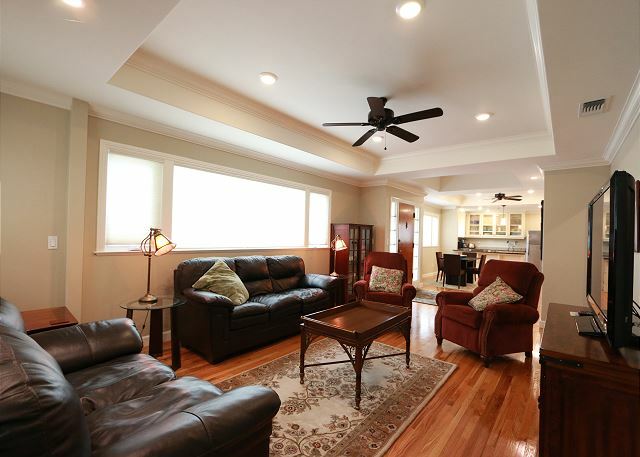 Our home is a restored older home with beautiful original wood floors. 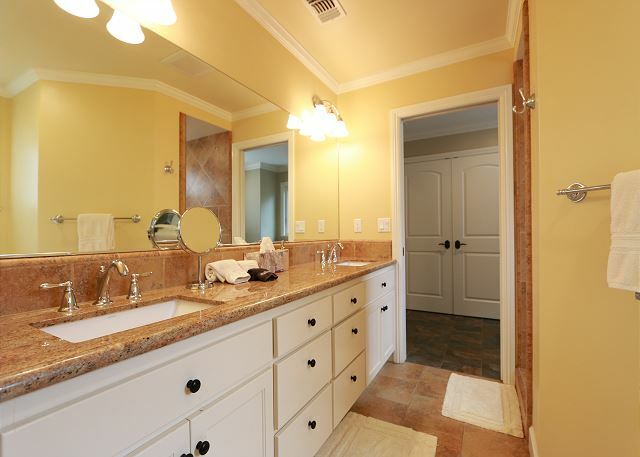 We’ve updated the kitchen and bathrooms with granite countertops and all the modern amenities one would require. Come and enjoy your local wine finds on our patio up above Olive Street. 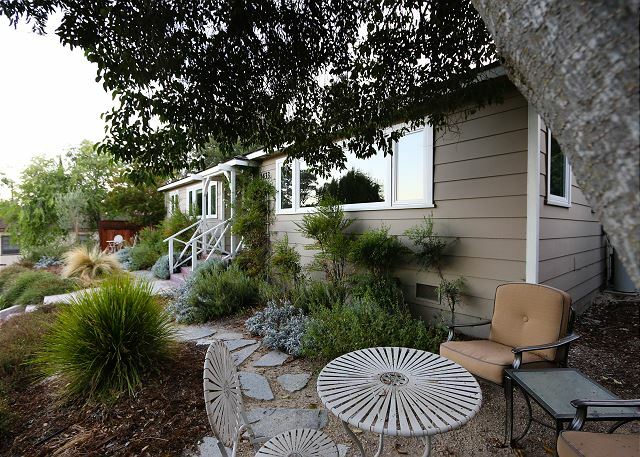 We have a very serene and private setting with views over the rooftops of our neighbors. 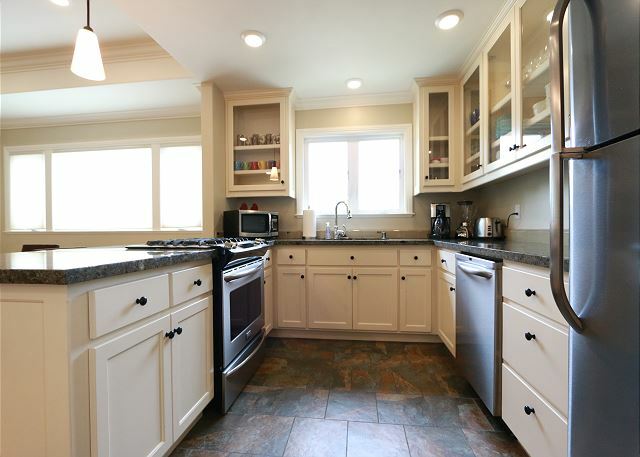 Our kitchen provides all the tools you will need for cooking. Downtown Paso Robles is packed with so many wonderful restaurants…why stay home with so many choices? The wireless internet is high speed and the flat screen TV provides high definition entertainment. Bring your laptop if you want to stay connected. Your host is only a phone call away. If you should need anything in the cottage or if you need advice about touring Paso Robles just call Steve! We want you to love Paso Robles as much as we do. One of the best VRBOs! Two Sweet was perfect for two couples. 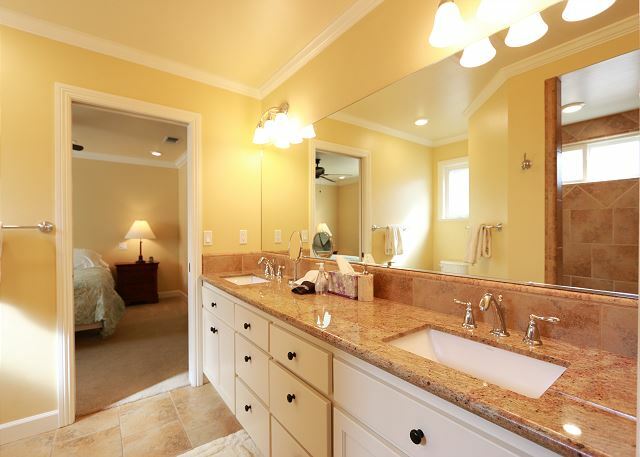 Two spacious, well appointed master suites had large walk-in closets and the bathrooms were contemporary and very clean. The pillows and bedding were extremely comfortable. The house had several nice sitting areas and the kitchen was well appointed. The location of the house was perfect being a few blocks west of the downtown area in a quiet neighborhood. Its proximetry to many vinyards in the area was perfect. The landscaping was beautiful. Occasionally small deer would walk into the yard and acorn woodpeckers were abundant in the neighborhood. The plaza in Paso was charming with excellent restaurants, shops, and an interesting assortment of locals and visitors. Third Stay Because It’s Fantastic! This is the third time we’ve staying in Two Sweet. 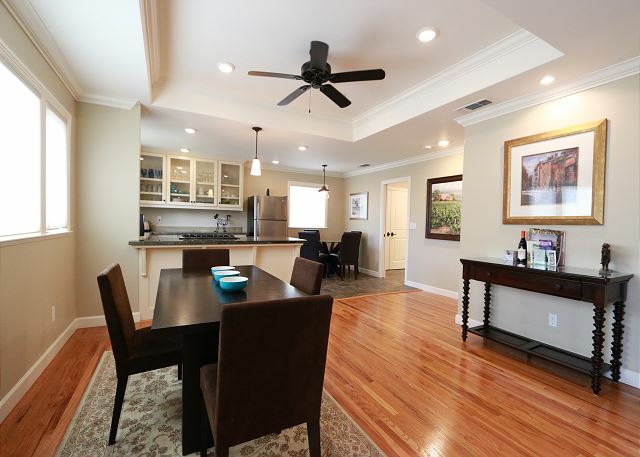 It’s the cleanest house we’ve rented (three others in Paso Robles and five or six in Sonoma, Placerville, etc. Perfect for two couples; each couple gets a large bedroom and priva, full bath. Fully equipped kitchen; we cook all meals there (except for one breakfast at Joe’s Place). Very comfortable places to relax inside and outside; really like the addition of the picnic table by the bbq grill. Arrived to an exceptionally clean house. 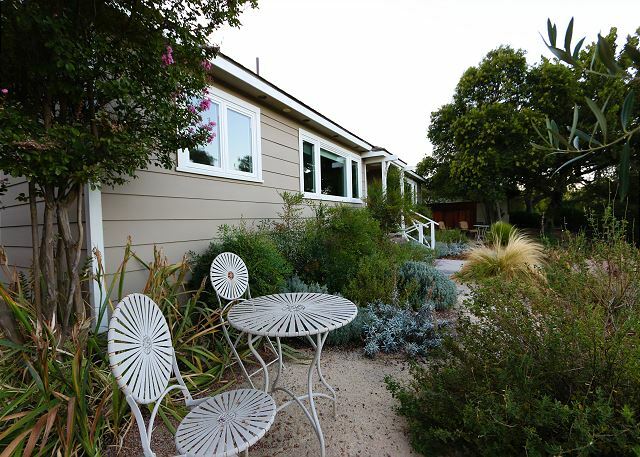 It is in a perfect location to town for restaurants and wineries are within easy driving distance. Fun Time in El Paso de Robles! This is the secnd time my wife and I have stayed here with another couple. As good as it was the first time, it was even better this time. Small details made a big difference: new (and sharp!) knives, more kitchen utensils, etc. Over the years we’ve stayed in over a dozen different rentals. 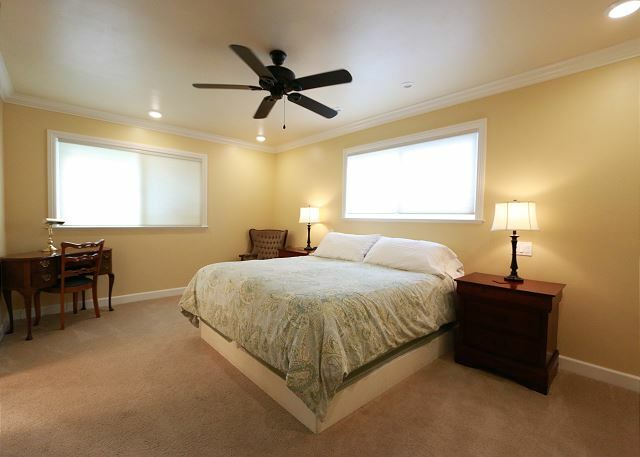 This one is the most comfortable, quietest and by far the cleanest house we’ve rented. 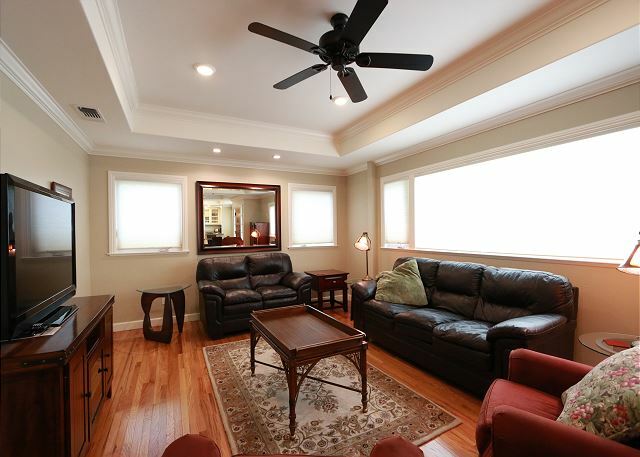 Perfect for two couples, as there is a lot of room in the kitchen, dining room and living room. 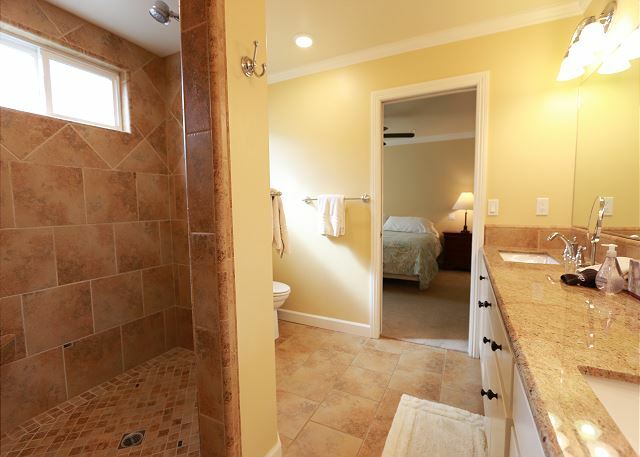 The bedrooms are roomy, with a private bath and walk-in shower in each. Plenty of private parking in the rear of the house. You can back up close to the back door to easily unload wine and there is a lot of storage right inside the door, before you get to the kitchen. No stairs to navigate makes it easy to use a hand truck. We cook all meals there (except for a breakfast at Joe’s Place). The fully equipped kitchen makes this a snap. Steve was very responsive, by phone or text, whenever we had a question. 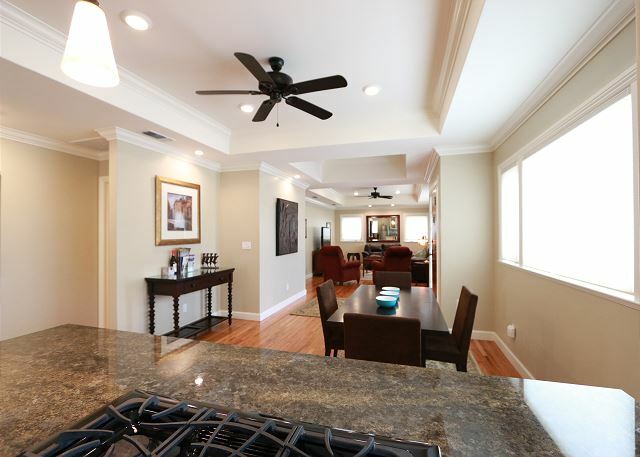 Beautifully remodeled home in Paso Robles! I recently stayed here with my parents and had a wonderful stay. Everything was so well organized - from the gretting we received from our host to the amenities available! We loved that we could walk to downtown easily as well a s a short drive to wineries. The house was nice and clean and confortable. The name says it.. Two nice suites, perfect for 2 couples to share. The neighborhood is very quiet and the grounds are well kept. Very nice house for two couples. Two Sweet was perfect for two couples. 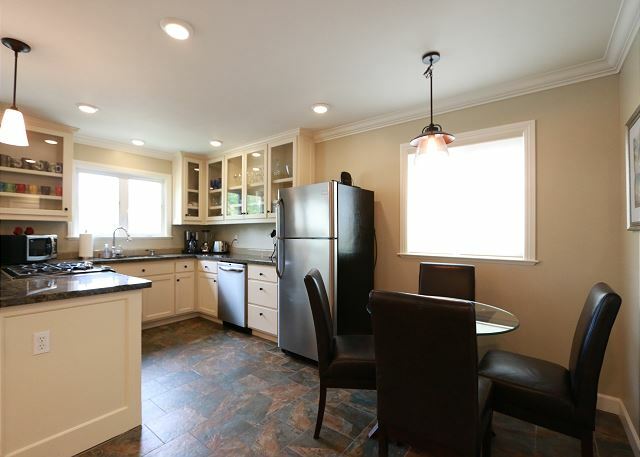 Extremely clean, spacious, fully equipped kitchen and convenient to town; off-street parking is excellent (you can nearly back up to the back door to load/unload, which makes transferring cases of wine easy). Very quiet neighborhood. King beds were very comfortable. 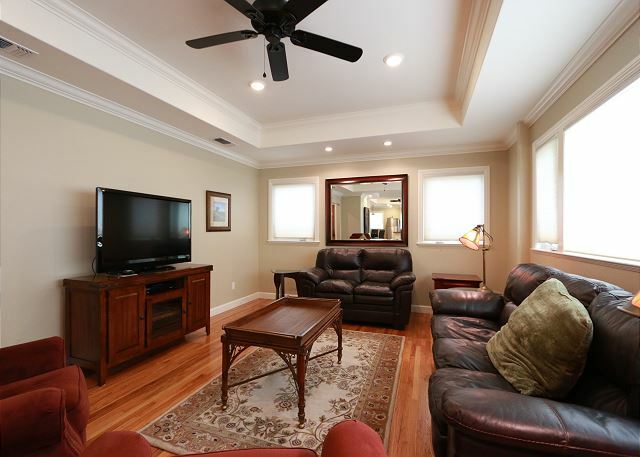 There is plenty of room for relaxing, both in the living room and dining room areas. The owners were very cooperative and justly proud of Two Sweet. Out two families enjoyed our visit. It started with a very quick handling of entry into the home and lots of good info by Steve. 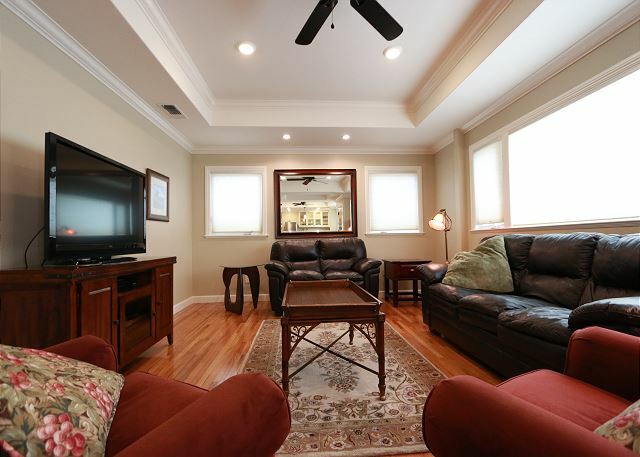 The home was perfect for 4 (two couples) with two bedrooms and bath areas (nice size). It was cool so we did not use bbq or kitchen much but everything was available. 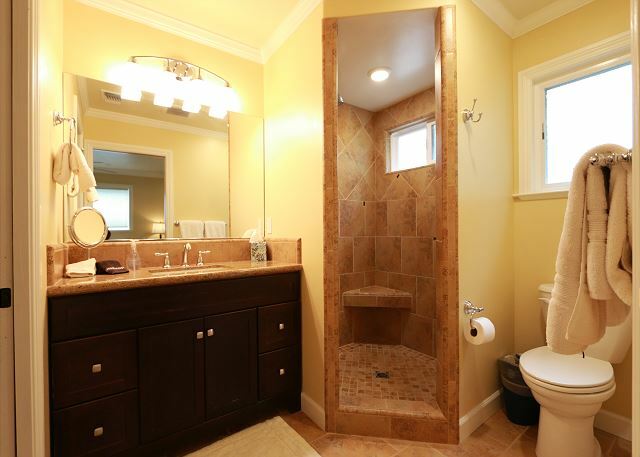 Great location, wonderful house, excellent property management! It really was "Too Sweet"
Lovely place to stay in Paso Robles. Easy walk to downtown. 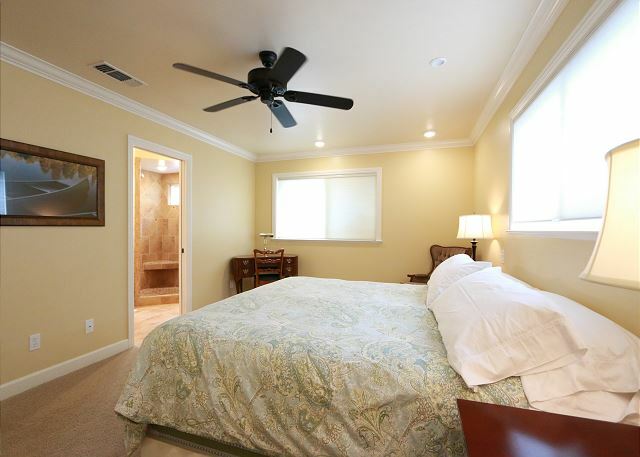 The place has two master suites, so ideal for two couples. 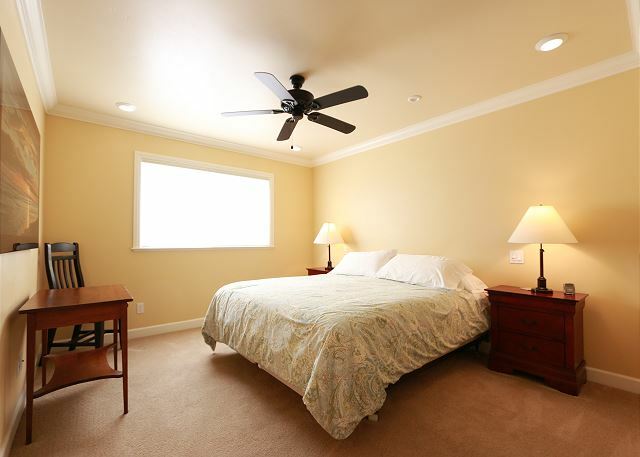 It was immaculately clean and well furnished, with lots of info about what to do around town. One thing not mentioned in the description -- it shows the house as being up quite a few steps, which is true, but there is easy access (and parking) from the rear, so you don't have to lug stuff up and down those steps. Two Sweet is very sweet indeed. Two couples stayed June 21st - 24th. Our dilemma is whether we should tell anyone else about how great this place is or keep it a secret. Two Sweet was awesome! 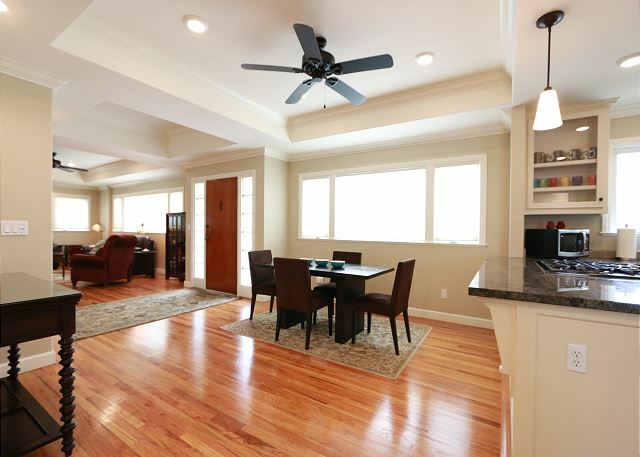 The pictures do not do justice to the great job Steve did remodeling the house, it looks and feels brand new without losing the charm of an older house. The 2 master suites are perfect for 2 couples with comfortable beds, large bathrooms and big walk in closets, and the layout assures privacy. The living room and kitchen were big, nicely appointed and comfortable for hanging out. The location could not have been better for walking into downtown for coffee and breakfast in the morning and dinner at night. The best part was how easy it was to work with Steve and how gracious he was giving us recommendations for everything we wanted to do in Paso. All of his recommendations were spot on! Thanks Steve!